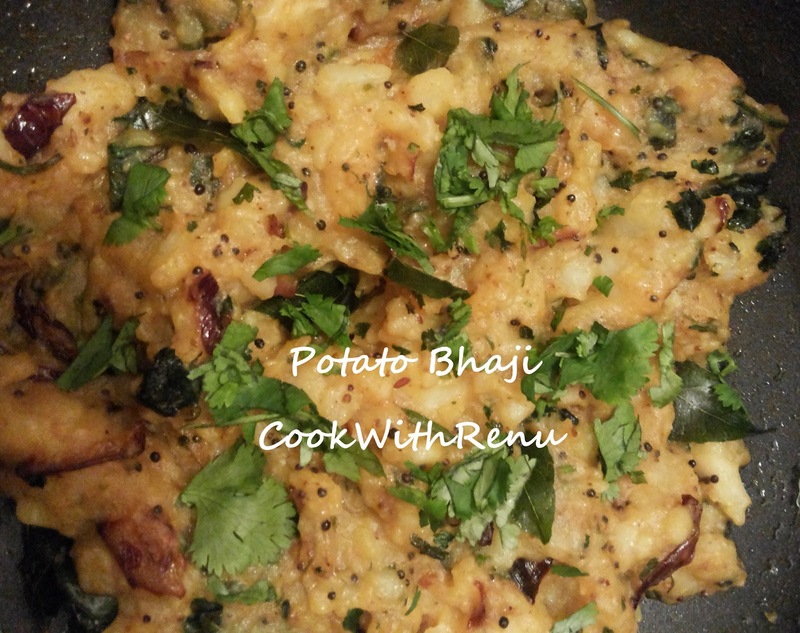 I make many variations of Potato bhaji (Vegetable) and yes all are my favorite. I call this one as yellow potato bhaji, simply because I add turmeric. One I make is of Kali mirch and the other one is potato slice. Cut the potatoes into quarters (1/8th). In a kadai or a pan, add oil. Once hot add mustard seeds. Once the seeds crackle add curry leaves. If adding urad dal add now and let it turn light brown. Now add the green chilies. Saute for 10-20 seconds. Add turmeric powder and then the potatoes. Mix it lightly. Now add red chili powder, garam masala powder and salt. Give it a nice mix. Now I like my potato to be soft and mushy so, I do mash them lightly, while cooking. It’s up to your preference. Let it cook for 10 minutes turning in between.